Steve Farrar's proven SF Blend just got better. 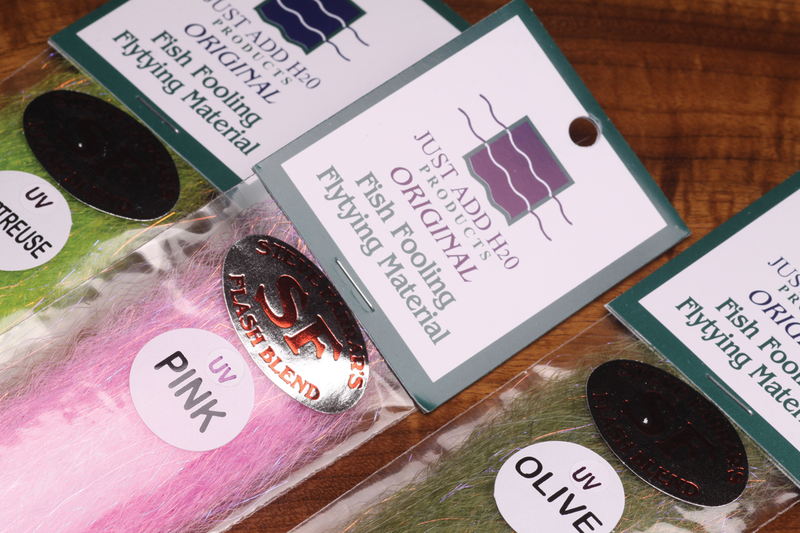 The already tapered killer material that is the perfect blend of Slinky Fibre and Slinky Blend with fine mylar flash now has UV colors. The UV SF blend attracts fish from great distance, and it moves fish in colored water. 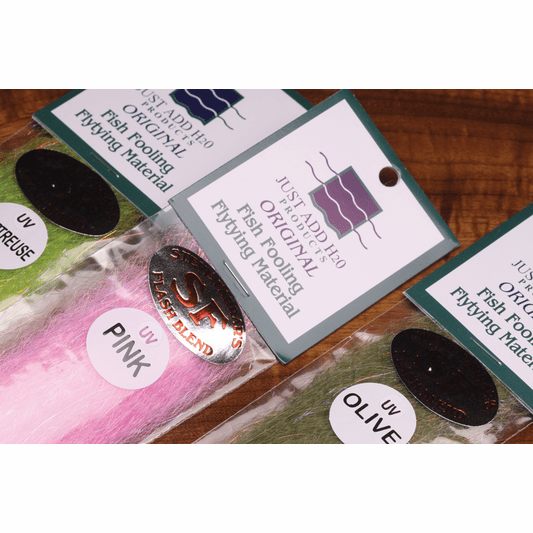 Use the Steve Farrar UV SF Blend on pike flies, blue water patterns, clousers, baitfish patterns for so many species.